The UN mediator for Western Sahara, Christopher Ross, has again failed to get concessions from the Polisario leaders that remain jammed in their initial positions and oppose a sterile intransigence to any new proposal. According to several sources in Rabouni, the three-day visit Ross has just paid to the Tindouf camps, proved unsuccessful. The UN mediator’s hopes to get new proposals from the Polisario for the resumption of talks with the Moroccan side were not fulfilled. 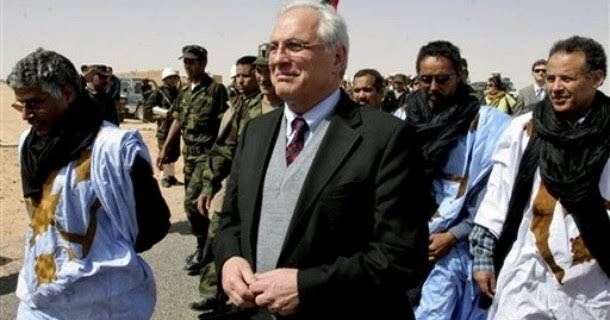 Observers close to UN agencies said Ross’s mission in Tindouf apparently stumbled against the Polisario leaders’ refusal to reconsider their positions, which do not rhyme with the calls of the international community nor with the resolutions of the UN Security Council. These calls and resolutions all seek to end the Sahara territorial conflict that has been opposing, for almost forty years, the two neighboring countries, Morocco and Algeria, whose land borders have been closed since 1994. A Western diplomat based in Algiers explained that the Polisario leaders attack several countries, including France and the United States, because of their outright support to the autonomy plan for Western Sahara proposed by Morocco as a political solution to the territorial dispute. The plan was described by several members of the Security Council as “serious and credible”. The personal envoy of the UN Secretary General is about to undertake a tour in European countries forming the Group of Friends of Western Sahara, to seek their support to bring the issue out of the current deadlock. Christopher Ross could also visit the North African countries involved in the Sahara conflict. The UN mediator should compile the new proposals and his personal comments in the annual report he is to submit to the UN Security Council late October.